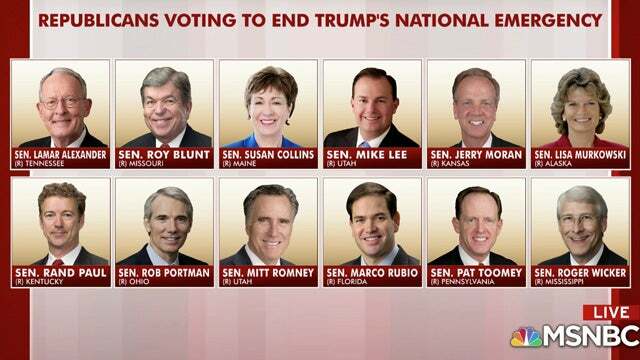 RUSH: I keep seeing that these 12 Republicans that voted against the president’s declaration of a national emergency are somehow concerned about the Constitution. That’s not why they’re doing this at all. 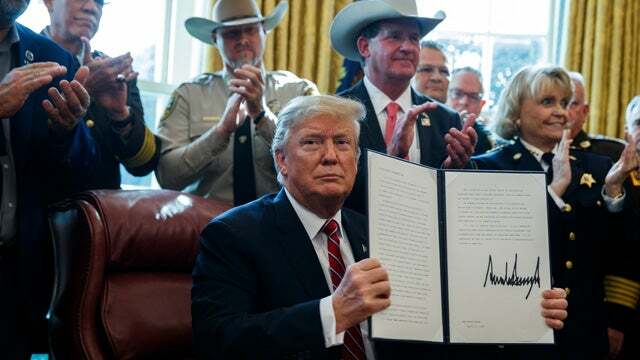 They are for open borders, and they want everybody… This open-borders movement… Especially now, after just the past 12 months, how can anybody in this country who cares get even close to supporting open borders? How can anybody not see what is happening here? That’s the scary thing to me. The evidence is right in front of our face of what illegal immigration is doing, has done, and continues to threaten to do. And yet all of these Republicans claim not to see it, claim to think that that’s somehow racism or bigotry. To have borders, to enforce border law/immigration law on people of color is bigotry? If we’ve gotten to that point, then we may as well get rid of all law, because you gonna be able to characterize all law as bigoted or racist if you want. I also think these 12 Republicans, in addition to being for open borders, are still part of the Never Trump movement. They despise Trump, and they just can’t bring themselves to support anything Trump does that might work and succeed, ’cause that would totally confound their efforts to get rid of him from now through 2020.